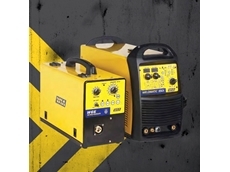 WIA supplies a range of high quality, industrial welding equipment and consumables. 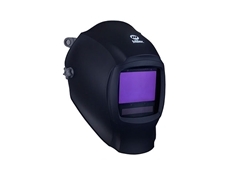 Their product range includes MIG, TIG, multi process and engine driven welding equipment, general purpose electrodes, low hydrogen electrodes, gasless MIG wire, solid MIG wire, welding helmets and welding respirators. 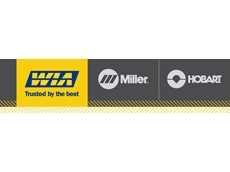 Their brands include WIA, Austarc, Miller, Weldmatic and Hobart. 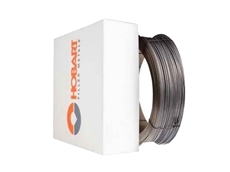 We are interested in importing hard facing mig wire ,1.2 mm diameter solid, hardness 55-56 hrc, non-corrosive, steel finish. Pls, suggest us some good manufacturer. Re Fabshield 21B product data sheet WCD 6711 it was supposed to be all positional, but is not vertical down wire. Dose WAI have anything better than Linclon NR211MP for the bore welders in the horizontal position 1.2 size, 44 m/m boresX100 long? I have a WIA 150 it's about 10 years old but still In good nick. I want to build an aluminium boat. I was wandering if this welder is capable of welding up to 6 mm aluminium and if so are there any accessories which will make welding easier such as wire feed rollers, Teflon liners etc. 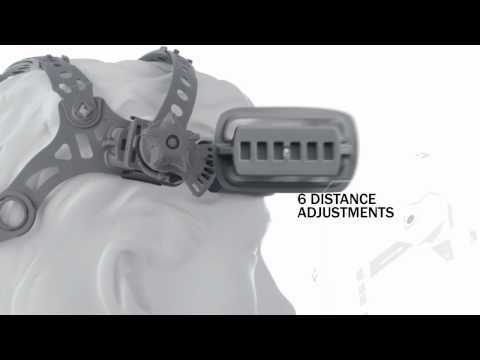 05/03/17 - WIA Welding Industries of Australia presents the all new Miller Digital Infinity Series welding helmets, designed to offer professional welders a huge viewing area with a wide screen format.Miller Digital Infinity Series welding helmets are available in a choice of two designs – Black and Departed, each featuring new headgear that provides extensive adjustability for the best fit and enhanced support.Key features of Miller Digital Infinity Series helmets include intuitively designed digital controls, with large push buttons allowing users to easily adjust mode and settings; 4 operating modes including Weld, Cut, Grind and X-mode; 4 independent arc sensors providing superior lens response for obstructed or low Amp welding; exclusive arc tracking technology comprising of a digital clock and alarm, allowing welding time to be tracked; and a new multi-language help menu for support.Miller Digital Infinity Series helmets are designed to withstand industrial environments and meet the requirements of a wide range of welding processes including MIG, Stick, TIG, Flux Cored and Pulse.The new Infinity Series also comes with a 3-year warranty (Auto-darkening lens only) and is compliant with Australian Standards AS/NZS 1338.1 (Auto-Darkening) and AS/NZS 1337.1B (High Impact).For more information, please visit the WIA website or call WIA’s Customer Support Team on 1300 300 884. 13/02/17 - Welding is the process of joining two pieces of metal using heat or pressure, or both. 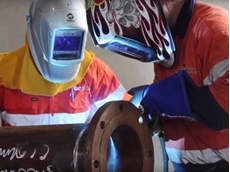 Distinct from other connections that are usually formed by friction or mechanical interlocking, welding is one of the oldest and most reliable methods of joining metal.Australian industry is well serviced by specialist general welding and testing companies, all of whom are experienced and qualified structural steel fabricators, boilermakers, and pressure piping and mechanical contractors. These companies have been successfully engaged in various complex and high-profile welding applications, especially in heavy industries such as mining and oil and gas.Arc welding is typically used to achieve a level of quality suitable for most structural steel applications. 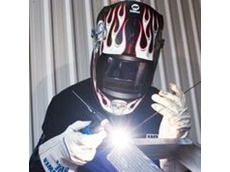 While different welding techniques may have their own strengths or weaknesses, cost still remains the primary consideration when it comes to the selection of the process.Weld joint configurations and preparation processes have certain considerations such as deposition rate, penetration ability, out-of-position capability, and high travel speed capacity. 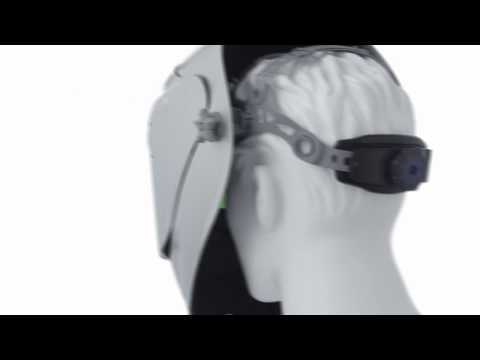 Each of these processes exhibit different capabilities. To achieve low cost welding, analyse the joint and its associated requirements, and compare them to the various process options so that the right process is selected for the specific welding application. Gregory Fabrications is an engineering solutions company that sets the benchmark for high quality steel fabrication, and caters to heavy industries with complex operations where fine detailing in welding is required. Delivering their services from a 500-square-metre fabrication space, the company relies on superior equipment to achieve excellent weld quality.Gregory Fabrications uses Miller’s PipeWorx series welding systems to deliver the quality required to meet and exceed their customers’ needs and expectations. Designed for simple operation, Miller’s PipeWorx series welding systems allow Gregory Fabrications welders to set up a new weld process in a few steps, minimising training time and potential errors from incorrect setups.The PipeWorx series systems have been designed as multipurpose welding machines that can handle all standard welding processes.Miller’s PipeWorx series welding systems are available from WIA Welding Industries of Australia. 06/02/17 - Manufacturing vehicles used in motor racing involves a tremendous amount of precision with the process requiring hundreds of parts and an equivalent number of welds. Most welds join intersecting tubes that make up the frames and roll cages in racing cars. 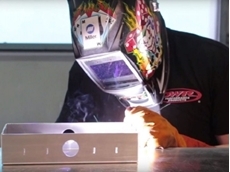 This requirement for precision during the manufacturing process demands that welders know their material and ensure the best equipment for the job. Some of the welded race car parts include the chassis, spoilers, seat brackets, and the rear end housings connected to the upper and lower control arms, including intercoolers and radiators. Considering the intensity of the sport and risks involved on the track, the vehicles need the strongest components and best quality fabrication, right from the frame and roll cage to the cooling units, which require consistent structural integrity to assure both safety and performance. The intercooler unit, which allows the intake air charge to be cooled before it flows into the engine to add to the horsepower, is a critical part of a race vehicle. Two factors determine the quality of the intercoolers: the internal flow characteristics, and, the cooling fins. In an ideal situation, the fins should have a large surface area together with the internal core benefitting from a low number of tapered bends; there should also be no internal welds that might result in turbulence. Renowned manufacturers of vehicle cooling units such as PWR serve world class racing teams that employ the gas tungsten arc welding (TIG) process. This process uses the heat generated by an electric arc struck between a non-consumable tungsten electrode and the workpiece to fuse metal in the joint area and produce a molten weld pool. To achieve the highest quality welding in the quickest and most efficient manner, TIG welding machines need to have exceptional balanced controls for adjustable oxide removal and frequency controls for directional stability – this is exactly what Miller Dynasty machines bring to the application. PWR relies on the Miller Dynasty series for its welding processes, which can be operated with or without fillers. The Dynasty series can be run on AC or DC and offers high precision welding, helping achieve the high quality welds produced to support world championship Formula 1 teams such as Red Bull Racing. The environment-friendly process also generates very low amounts of particulate fume matter, unlike other welding methods. 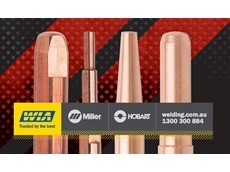 Miller welding machines are available from WIA Welding Industries of Australia. 31/01/17 - A dual operator engine driven welder/generator solution from WIA Welding Industries of Australia is helping companies save space and fuel onsite, ensuring delivery of jobs on time and within budget.Contractors, construction companies and service truck operators are constantly under pressure to complete jobs on schedule and within budget. External pressures such as the increasing cost of fuel, equipment and materials as well as tougher government regulations only make it harder for these companies to keep up with their commitments.Dual operator machines allow multiple welders to use a single machine for welding, cutting or operating lights and grinders, helping save space on crowded jobsites or work trucks. The flexibility afforded by a machine with dual operator capabilities allows companies to meet the needs of many different jobs with a single machine and without having to make additional capital equipment purchases. A single machine with dual operator capabilities will also help save fuel and maintenance costs when compared to operating several engines.What can a dual operator solution provide?A diesel engine driven machine with dual operator capabilities can provide power for two on-board welding arcs and enough power to operate additional inverter based welding power sources. Since weld controls and auxiliary power are completely independent for each arc, operators can weld and operate a wide range of tools using the auxiliary power without impacting arc quality.Dual operator diesel engine driven machines help maximise resources in the field while minimising the need to invest capital in additional equipment. Miller’s Big Blue 800 Duo Pro, available from WIA, is capable of running up to 800 Amps for a single weld operator or 400 Amps each for two operators, with three phase power available at the same time.Miller’s Big Blue 800 Duo Pro can be used by as many as six operators at one time at about 120 Amps each, helping boost productivity onsite without the cost of adding machines or renting large power generators.Greater productivity, safety and space-saving benefitsCompared to traditional single operator units, dual operator machines can be used for various applications, producing twice the amount of welding arcs to boost productivity.A dual operator unit reduces jobsite noise and improves jobsite comfort, productivity and safety for workers while multiple machines burn through fuel more quickly, producing twice the amount of emissions.Dual operator machines deliver faster return on investment with higher productivity and lower fuel costs. Having a single machine onsite supporting multiple welders reduces logistical costs and clutter, promoting efficiency and improving jobsite safety. 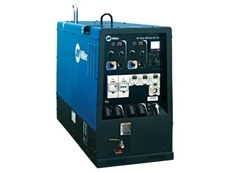 A dual operator machine also provides the flexibility and power to plug in additional tools, which ultimately saves space on the worksite.Much more than an investmentOne dual operator machine is capable of providing multiple arcs, resulting in lower cost-per-arc and fewer engine-driven welder/generators to buy and maintain. In addition to cost and fuel savings, companies can also save space on the service truck or the jobsite, and get work done more efficiently, all without sacrificing arc quality or productivity.